Jeremy Brett. . HD Wallpaper and background images in the Sherlock Holmes club tagged: sherlock holmes jeremy brett granada television john watson. 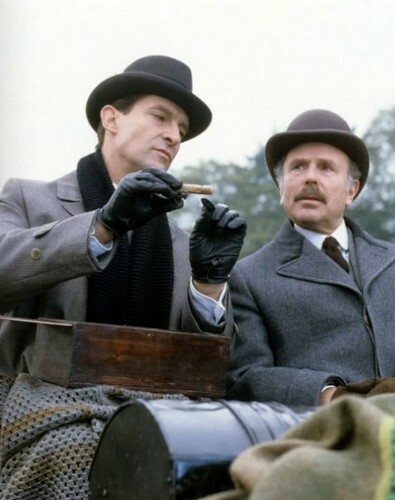 This Sherlock Holmes photo contains 녹색 베레모, 특수 부대, 엘리트 군인, 녹색 베 레모, 특수 부 대, 연대 복, 연대, regimentals, 라이플 총병, 라이플 맨, and 라이플 총 병. There might also be 페도라, 펠트 모자, homburg, 스텟 슨, 트릴, 훔굼, 스테 트론, 트릴 비, 페도라 펠트 모자, 홈 부르 크, stetson, and trilby.